She's been hiding for seven years, keeping her son and herself safe from the madman who had brutally abused them and almost killed her. Mary Grace and Robbie Winters are painful memories and Caroline Stewart has done everything in her power to help her and her son Tom do more than survive, but thrive. Seven years after fleeing from a violently abusive spouse and assuming a new identity, Caroline has gotten her GED and is working her way through college, just a semester away from her dream of law school. Her son is well loved and safe. And despite recently losing her beloved boss to a surprise heart attack, she's happy in her job as secretary of the head of the history department. When the new department head arrives, she's more than happy, and handsome and very tall Dr. Max Hunter makes the sort of impression Caroline had never had a chance to experience in her long history of neglect and abuse. Both are scarred, both flawed by circumstance and painful pasts, but their attraction is intense. 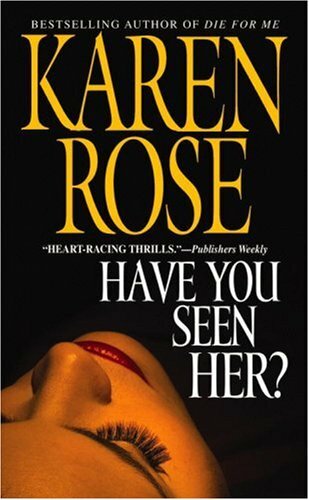 Caroline's secrets, though, are the sort that kill, and unbeknownst to her, the sadistic misogynist and murderer she married, Rob Winters, has realized that his wife and son aren't missing or dead. Realized that Mary Grace ran from him, stole his son from him. Unbeknownst to Caroline, Winters is cutting a wide swath of death and destruction...and he's coming for her and their son. Nothing will stop him. No one can catch him. And no one will see him coming. 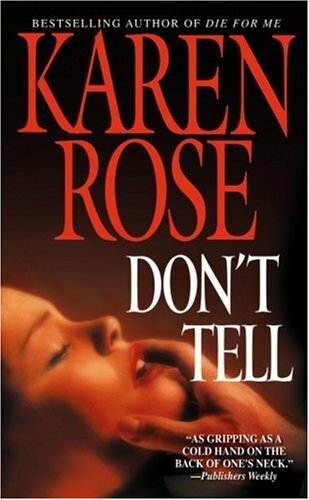 Don't Tell isn't my first romantic suspense by Karen Rose, but it was her first published. It's surely not necessary to read them in order, as they're only loosely connected by reappearing characters, but I thought I'd go back to see how it all started. I'm glad I did. 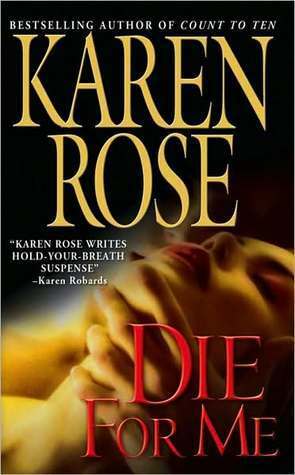 Rose started with a plot that perhaps isn't the most original, but it's well told. An abusive cop husband undermines his abused wife and son and keeps her from any hope of help until she takes her son and disappears. Years later he finds out and, enraged, starts to hunt her down, destroying everything and everyone in his path. The procession of the plot is a bit formulaic, including the quick-fired romance between Caroline and Max and the reaction of Caroline's son Tom, but there's a certain formula to all romantic suspense, so I wasn't overly bothered by that. 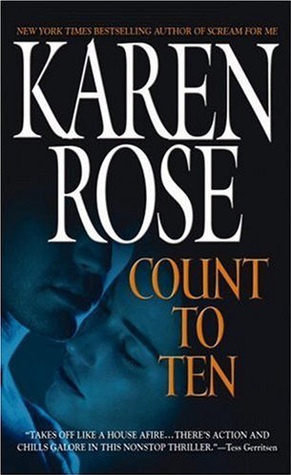 Rose's authorial strengths lie not just in the intricate, twisting plots of her novels, but in the depth and dimension of the characters inhabiting the story. She excels in creating sympathetic characters with baggage and flaws, characters who make mistakes and are intrinsically human. Some endearing, some humorous, most a mixture of both. 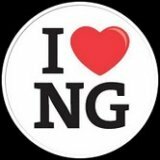 This exceptional talent extends beyond primary characters to the secondary and ancillary set, from heroes and heroines to their families and friends and even to their pets. 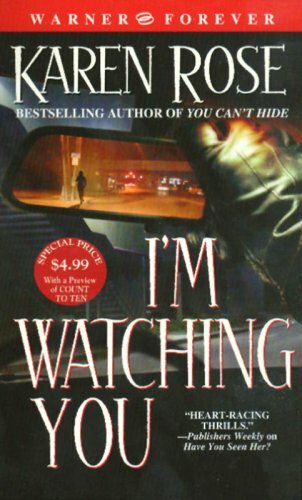 In so doing, each book is gripping on an emotional level and memorable for it, regardless of specific plots. 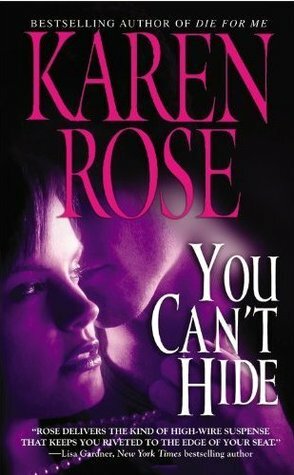 In Don't Tell Rose has gone one further and touched on many of the sensitive issues and delicate psychological damages shared by survivors of spousal and parental abuse and carefully folded that into the personalities of Caroline and Tom to the differing degrees required by the plot. 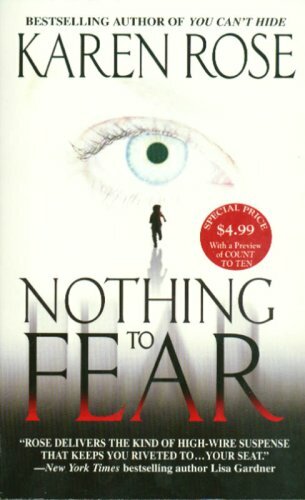 Taken to the extreme, the abuse was horrifying, but it served as a reminder and wake up call to women who may find themselves in situations that are in any way similar. Perhaps it breathed hope into just one victim, or reminded one woman or child that abuse can be escaped - should be escaped, or provided one option to someone who was convinced there were none. Perhaps. If so, then it transcended the scope of chilling entertainment.